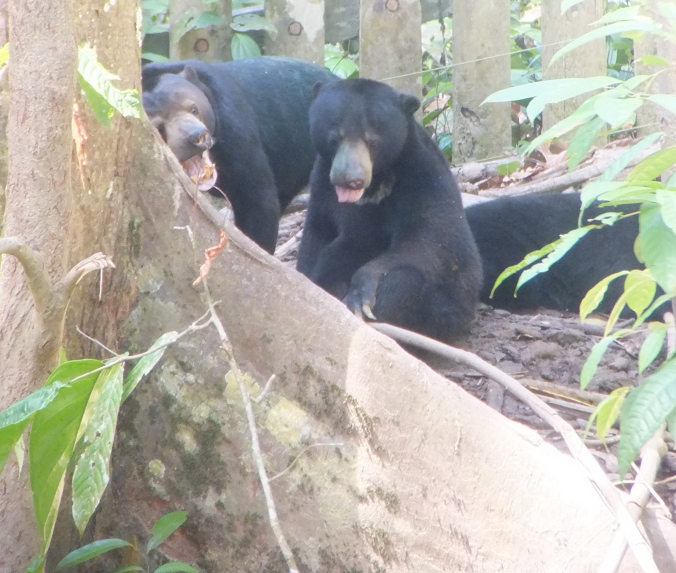 The Borneo Sun Bear Conservation Centre in Sandakan is doing amazing work to rehabilitate and release Borneo Sun Bears back to the wild. 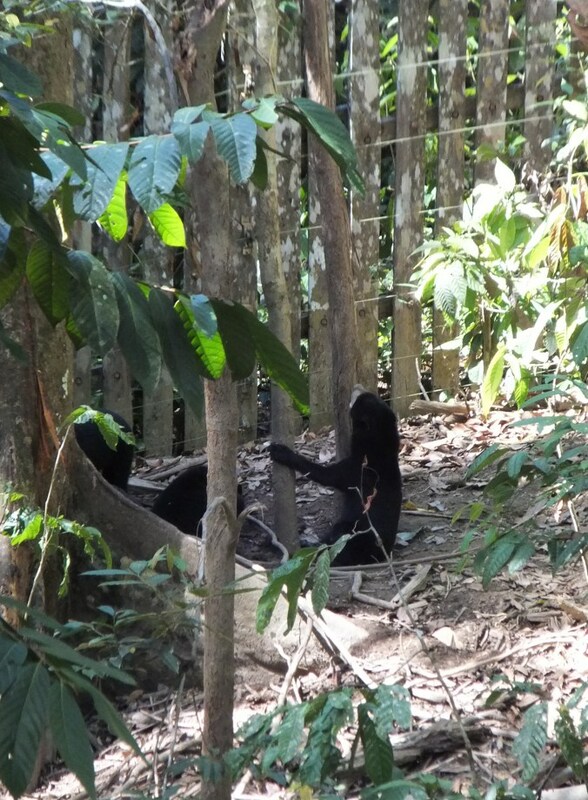 Arrived because they have had their homes destroyed in deforestation, being captured and kept as pets, and even one that escaped being sold for his liver bile. This slow gentle creatures of the forest can be watched from the viewing area, as they dig up roots and chew thro bark after insects and honey. After the panda they are the second rarest bear in the world and are now at high risk of extinction. These amazing creatures are essential for the forest, to keep termites down, and they make holes in the tree trunks that other animals can nest in. 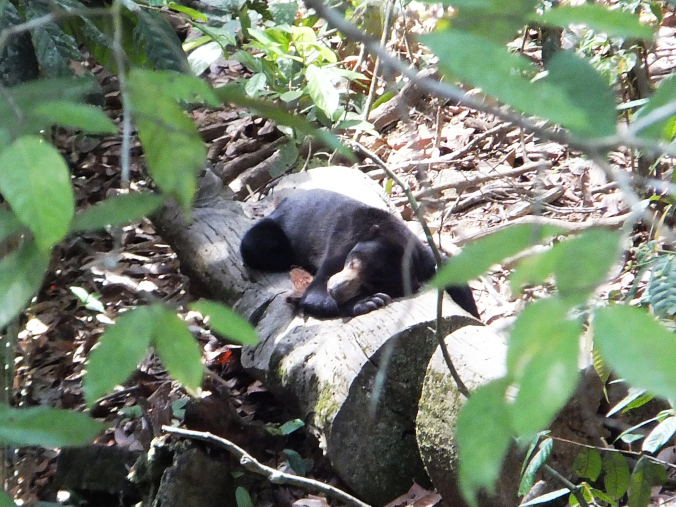 Sun Bear enjoying the sun. Socialising is part of their rehabilitation.